When did you last buy something online? Can you still remember how you ended up at that web shop? Via Google? Did you read an article somewhere about the online store? Did you see a picture of a blogger with a product that made you think: I must have that? Was it the experience of a friend that made you decide to buy something? Or have you bought items at that web shop before so that you know you can always buy product X with them? While optimising the content on your Prestashop is very important to reach potential customers, you should also ensure that you’re being talked about. 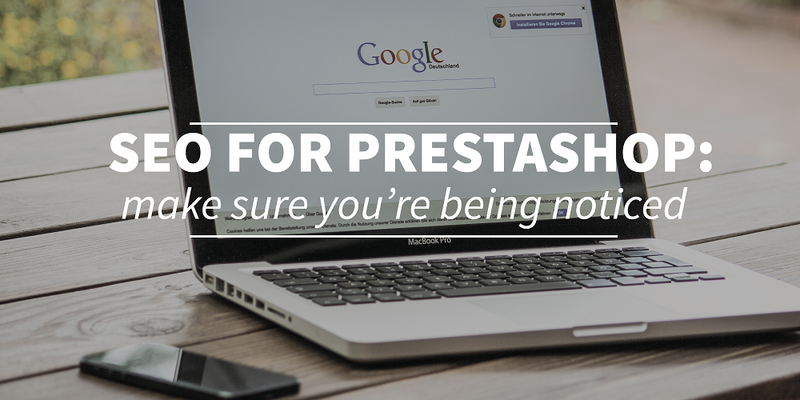 If not a single piece of content on your Prestashop meets the SEO rules, it can still rank high in Google. Simply because other sites talk about your product. Google takes this into account when valuating your site. Searching for your potential customers through so-called link building does not only have a direct effect, because readers of an article click through to your site, but also an indirect effect because eventually you’ll rank better in Google. In this article you can read more about link building for your Prestashop. During previous episodes of this series it has already become clear that appearing on the first page of Google results has a big impact. Besides the fact that it is important to keep adding good articles to your Prestashop, it is also important to invest time in link building. Link building is the process of increasing the number of mentions of your Prestashop by websites other than your own site. It is important that not only your name is mentioned, but also the possibility to click through to your Prestashop when clicking on your name. The classic form of link building is that you ask another site to mention your website and that you do the same vice versa. You can often see a little section somewhere called “sites that I like” with a list of websites. This technique is now somewhat outdated. Google gets smarter and can identify such tricks. The search engine appreciates quality articles. Initially, that may sound difficult, because how do you get other sites to write about your products? But ultimately this will benefit you in two ways. Not only will you rank higher in Google’s search results because the search engine can see that other sites are linking to you, but you also have the chance that the reader of such article becomes interested in your product after reading the article and ends up buying something. That is a much more reasonable chance than being tucked away somewhere in a list of “sites that I like.” With high-quality articles on external sites, you are working to increase your potential customer base in two places at once. External links are therefore the best way to grow your Prestashop in Google. But where to find websites that want to write about you? You could start to find bloggers in your industry. They would perhaps be interested to test your product and write about it. In addition, it can be effective to send out a press release every now and then to various websites that write about your industry. That may also result in a referral to your Prestashop. There are so-called press lists. These are lists of journalists who have signed up to receive press releases (within a certain industry). This way you can reach out to a very large network of journalists at once so that you don’t have to search for e-mail addresses of journalists, websites or other channels. There are also several sites where you can publish your press release yourself. In this case you’re not dependant on any journalist, and you can put your text online yourself (including references to your Prestashop). 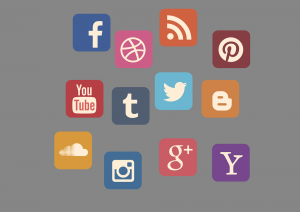 In addition to finding external websites willing to write about your Prestashop, it can also be effective to add social sharing buttons to your site. For example, if you have invested time in interesting articles, your readers may also want to share your information with their friends. They could obviously do so by copying the link from your website, but why not make it easier for them? This will not only benefit your potential customers, but also yourself. This way, your current customers can immediately bring you to the attention of new customers. 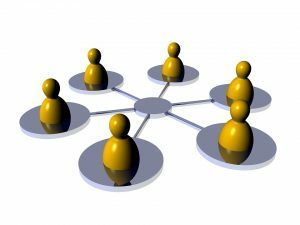 By sharing your web shop, you are immediately being brought to the attention of a group of people who may have the same interests as your current customers. As you appear in their timelines on Facebook or Twitter, they are being invited to also have a look at your web shop. This is ultimately more effective than an advertisement because they will value the opinion of their friends. This way it could happen that someone, who had never thought of buying a selfie stick, may just change his mind after his friend shared your article about the ideal selfie. The main trick is to be creative. For example, you could decide to interview bloggers in your industry. Big chance that they will eventually share that interview with their followers. Another way is to write guest articles on other web sites. Present yourself as an expert, write a nice article and in return you’ll often get a referral to your own Prestashop. You can also Google for the name of your web shop. There may already be websites that mention you, but without a clickable link. You can then ask if they might be willing to change this mention to a clickable link. Introduce a discount for a specific target audience. For example, if you hand out student or senior discounts, then chances are that a website with that specific target audience will pick this up and include you in the list of discounts. You could also inform such a website yourself about your (temporary) student special. If you have optimised the articles on your website according to the rules of SEO, then link building is the next step. Make sure you give Google enough content to find and help the search engine to find you. Would you like to know more, also read read the first article about SEO for Prestashop and our second article on the importance of writing for SEO. To be noticed is the hardest part of having a business. But it’s the most important factor in order to boost your visibility and attract possible clients or customers. Getting online is one of the best ways nowadays to get noticed. With millions of user in the internet, there’s a big possibility that your business will be seen by your targeted market. But it will never be easy and you need major and effective strategies to do it.